All Season & Hank Parker's Party & Tent Rental offers the largest selection of chair rentals in Buffalo, Rochester & Syracuse NY. LOUNGE SEATING: Comfortable lounge furniture has been the hottest trend. We have a variety of couches, tables and lounge chair rentals that can be grouped for informal seating arrangements, making your guests feel comfy and giving your event a modern twist. Click to view. 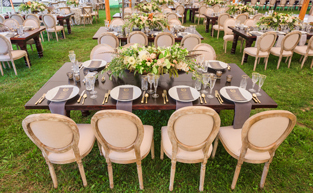 THE LOUIS CHAIR: (pictured left) A luxurious chair rental option with a bit of French flair, it makes a versatile, elegant and classically beautiful chair rental choice for any wedding or special event. Click to view. 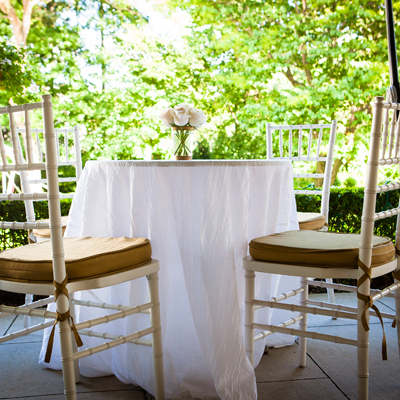 THE CLASSIC CHIAVARI CHAIR: Offers elegant and comfortable seating options in a variety of colors. They are often the top choice for formal wedding seating. Choose from many different styles & colors or customize your chair pad to match your linen color and style! Don't forget to check out our chair rental section for more ideas. Click to view. BUDGET FRIENDLY: With over 20 different styles of chairs to rent, we are sure to have one that will fit your budget! Our classic folding chair is the most economical option as is a great choice for weddings, showers, corporate events, picnics, graduation parties, seminars and more. See folding chair rental options here! FROM TRENDY TO CLASSIC - It's all in our inventory! No matter if you are planning your event in Rochester, Buffalo, Upstate New York or anywhere else, we can make your vision reality. If you need event or wedding chair rentals, contact All Season & Hank Parker's Party & Tent Rental today at 866.604.2629 or use our contact form. We invite you to one of our spacious showrooms so you can see your next chair rental and pair it with your table setting. With Western NY locations in Buffalo and Rochester, All Season & Hank Parker's Party & Tent Rental services anywhere and everywhere in New York State. However, our chair rental services also extend into a variety of other places, from Toronto, Ontario to Orlando, Florida.